In the previous post I showed how to create tailored views for known families of devices. But if you want to apply tailored views based on your custom logic you can make it as well. First of all you need to follow naming rules in order to associate a new view with the existing code-behind file. 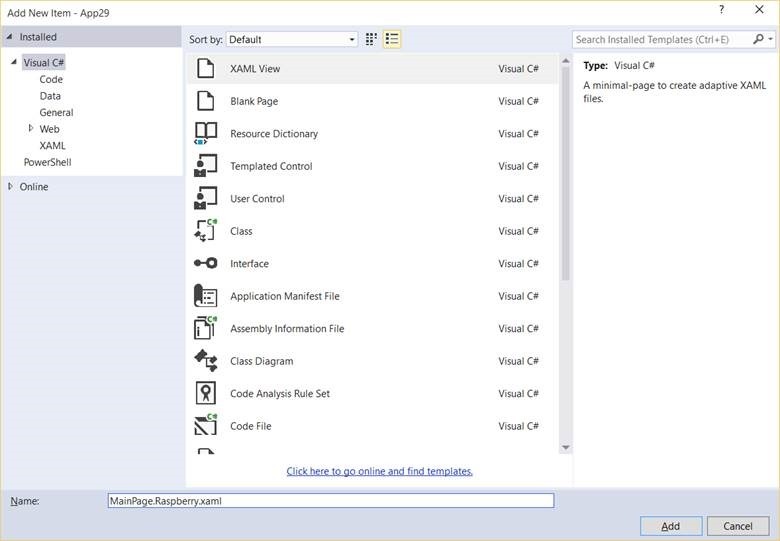 In order to do it just use the following rule: <initial page name>.<any extension>.xaml. Don’t use “DeviceFamily-“ for your own extensions – probably it is reserved by Visual Studio and you will get runtime error if you use it. 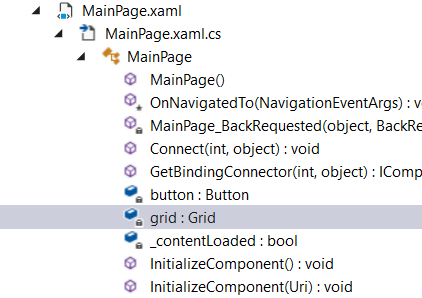 For example, if you create a new view for MainPage.xaml you can use MainPage.Raspberry.xaml name. Once you add a new view to your project you can see that Visual Studio will generate one more InitializeComponent method. Using this approach you can implement any custom logic in your constructor and apply different views based on different devices, parameters etc.